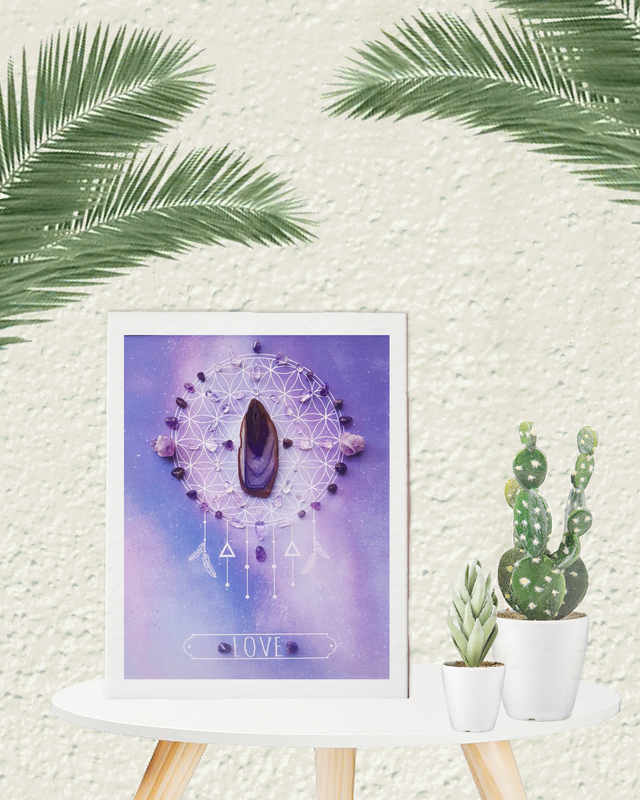 Made of both the powerful blueprints of creation known as Sacred Geometry and unique beautiful Crystals that conduct, hold and transmit energy, Crystal Grids are gorgeous additions to our sacred spaces that can help manifest states of being that directly effect our psychological and physical wellbeing. 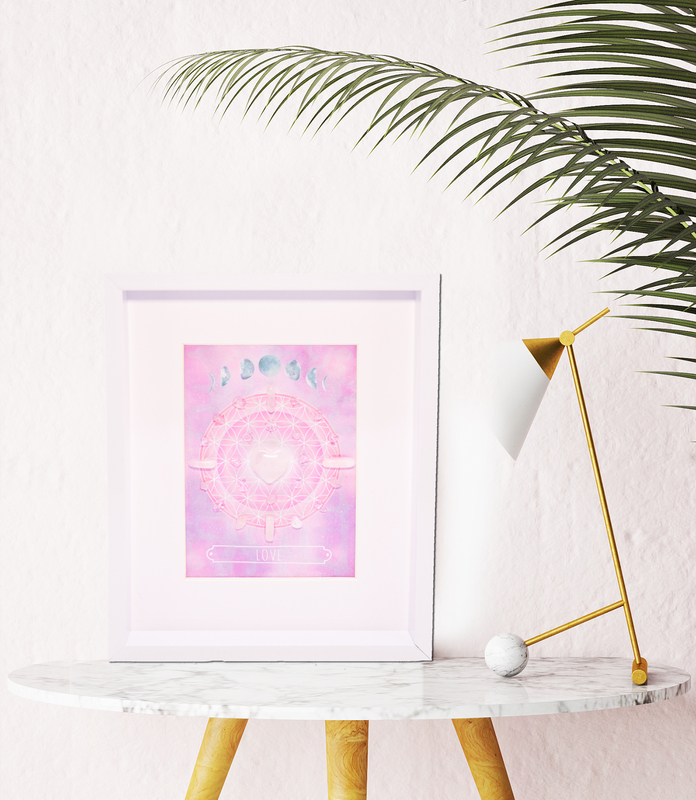 Every crystal grid made by the Heart Temple is made in Australia and every grid is a unique, one off work of art. Once they are yours they are yours forever. 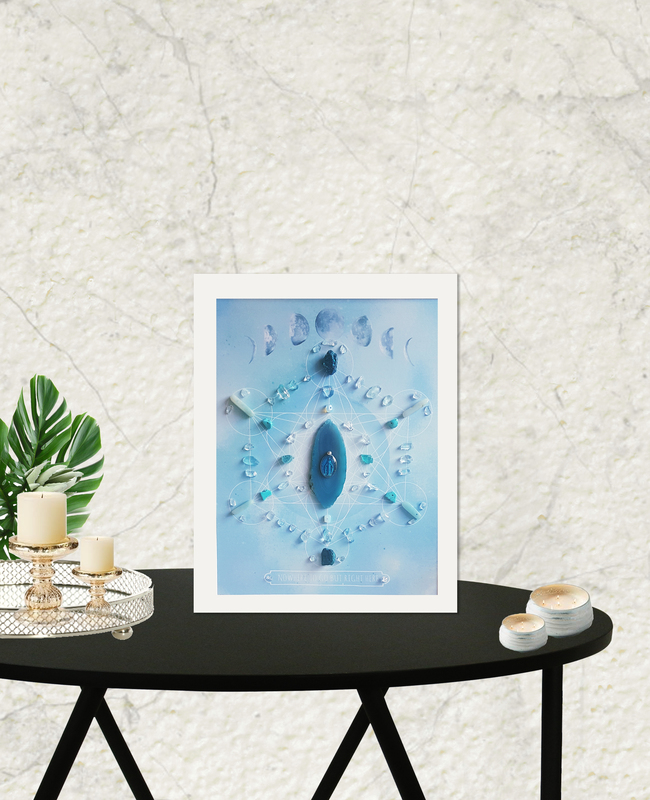 Each crystal specimen is pre-charged with its unique properties and when you use your intention with the vibration of the crystals, Crystal Grids are incredibly powerful. Crystals are able to be programmed, they hold memory and are fantastic facilitators of our will. 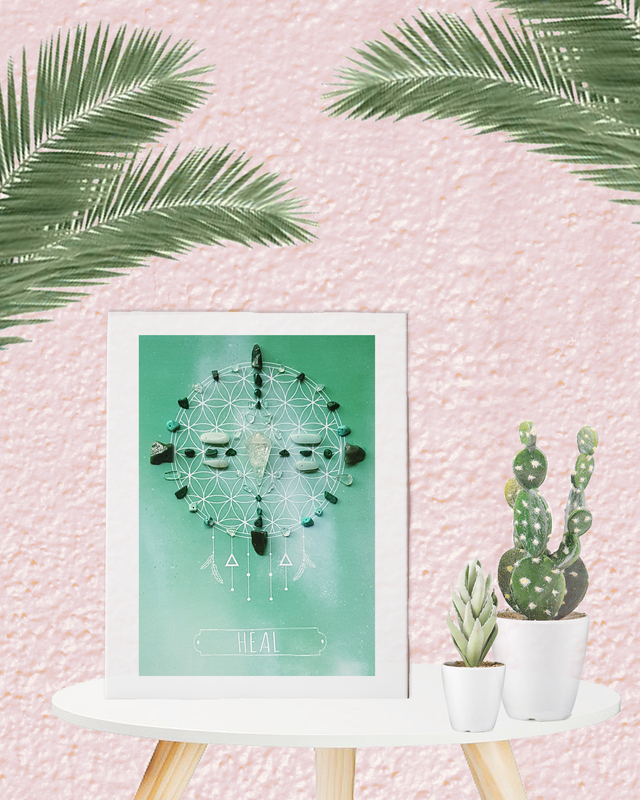 Crystal Grids are said to carry their own EMF (electromagnetic field) and the larger the stones the larger the energy field around it. This is why I always use a large, raw crystal as the centre stone. Sacred Geometry, which occurs naturally in nature and has appeared in temples and sacred places since the beginning of man (Egypt, China, India, Spain, Japan, Lebanon) is a tool for energy transmission. These vibrating grids are known to tune you into the right frequency necessary to communicate with source energy. 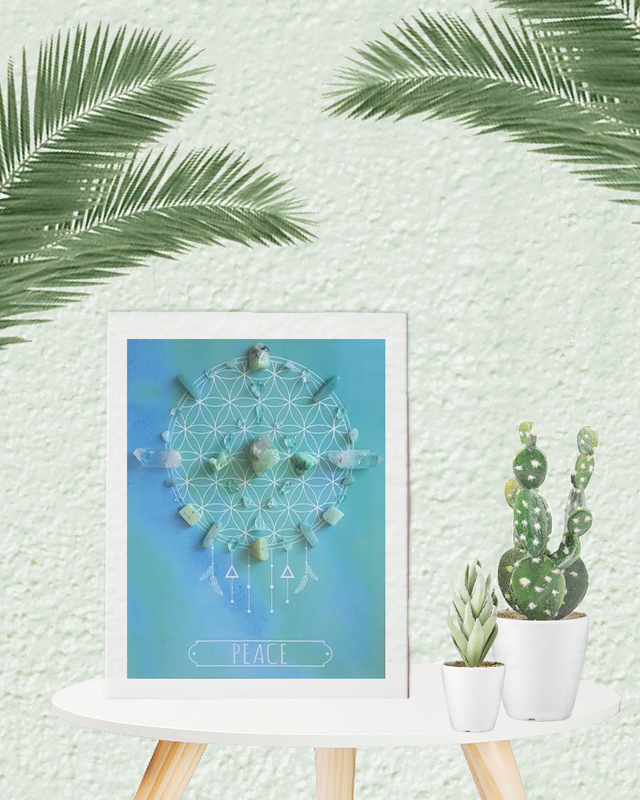 Each powerful, healing, energy rich crystal grid has been intuitively created knowing that one day it will find a match with its owner. It really is just like falling in love! 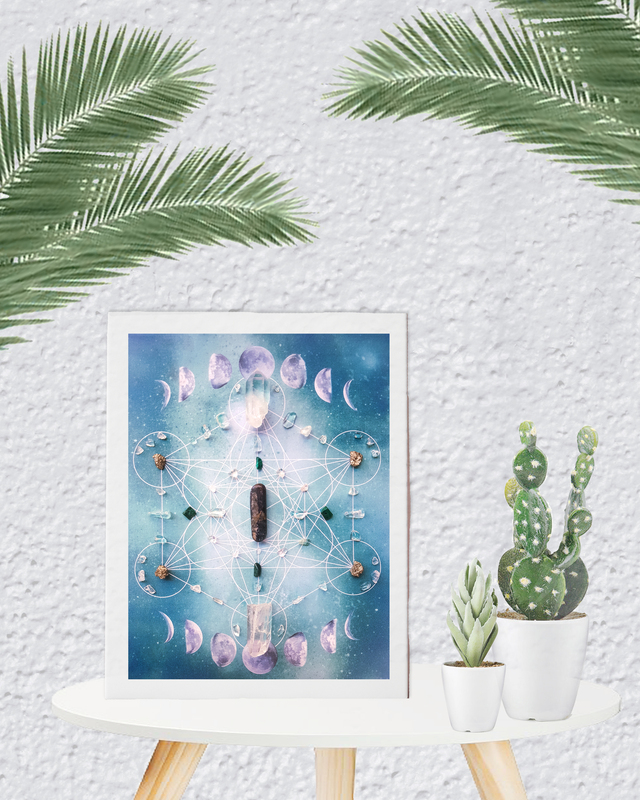 Protection crystal grids are the perfect creations for those of us who need to be reminded that we are held, protected and in safe hands while we travel through life. 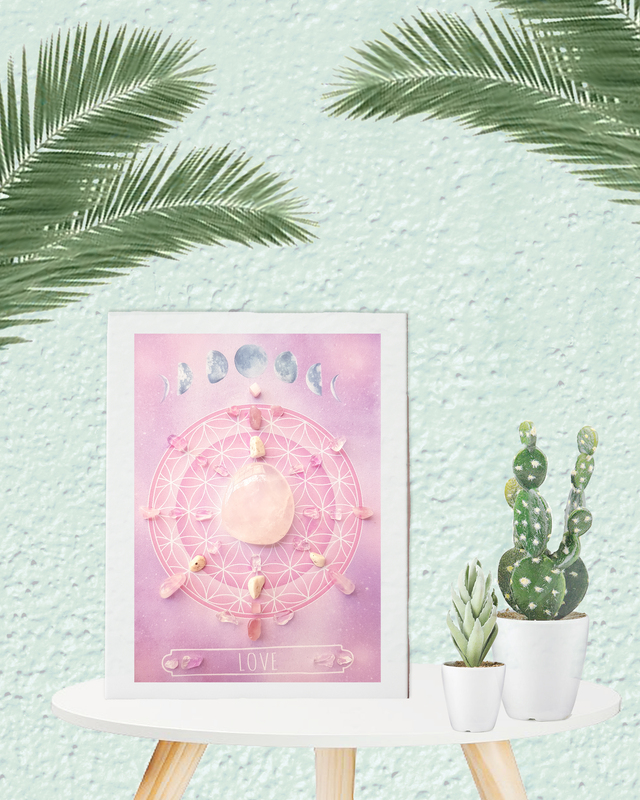 Love crystal grids encrusted with rose quartz are ideal for those who have been hurt in relationships and want to learn to love again, whether that be self love or romantic love. 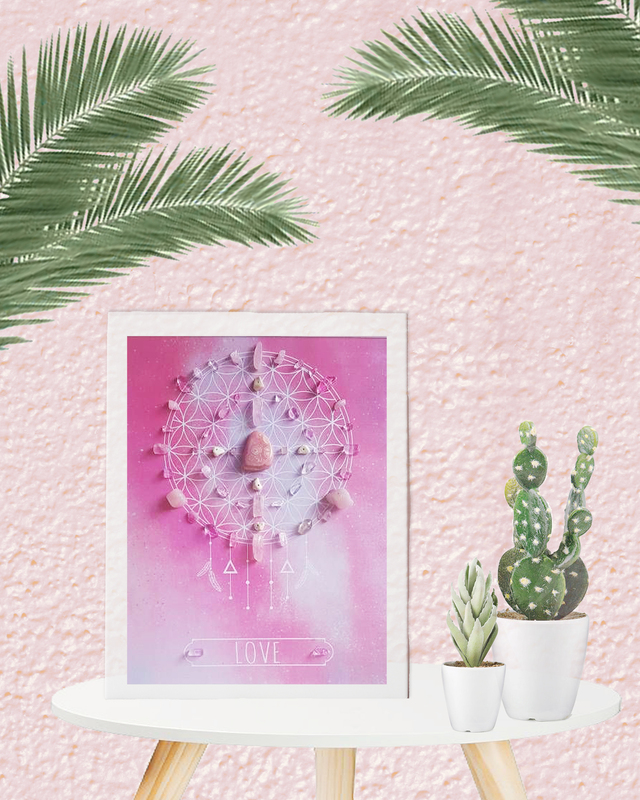 Rose quartz is fantastic for unification, nurturing, healing, soothing grief and attracting new love. 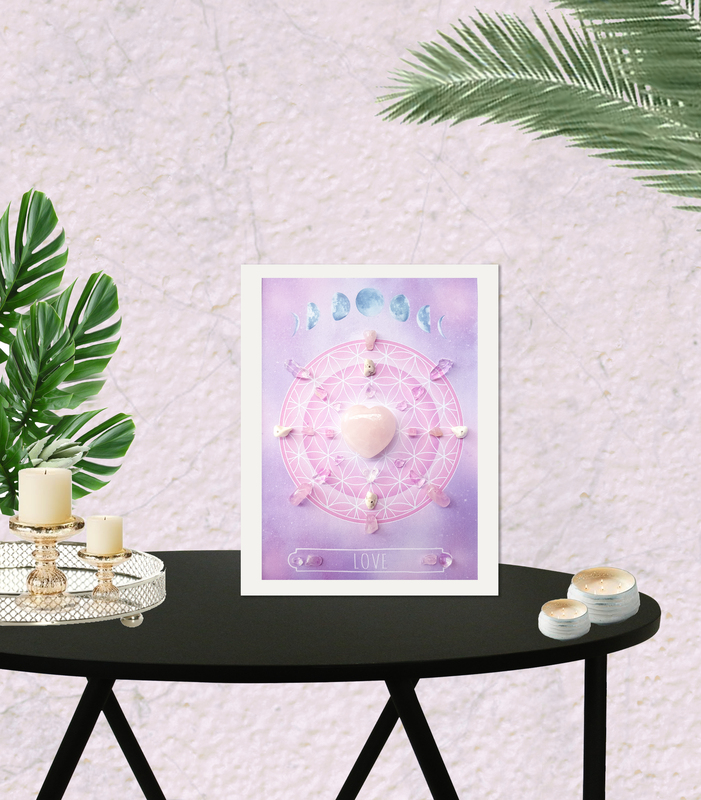 Most of us have known loss, grief and illness and rose quartz is a power healer in this respect. 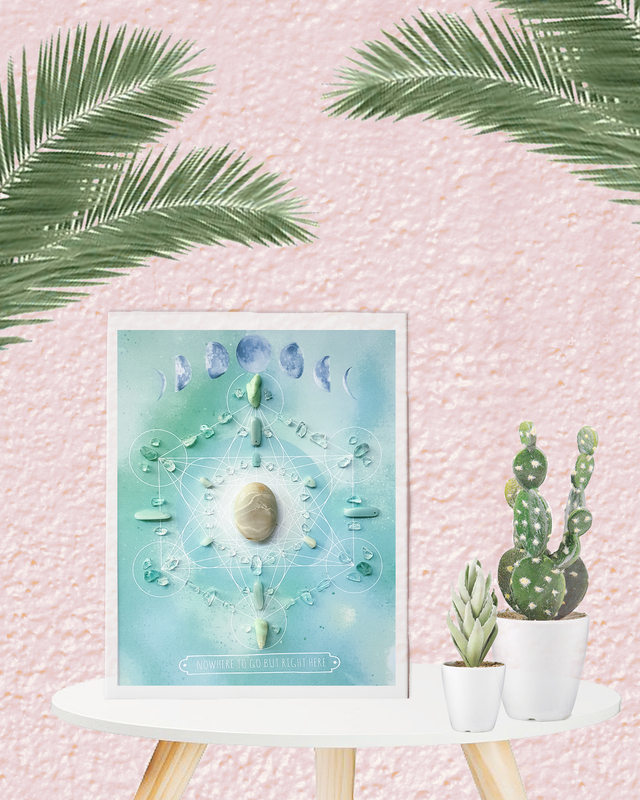 Healing crystal grids with Chrysoprase, Tibetan Turquoise and Amazonite are wonderful activators of integrating new beliefs and cleansing the old outdated ones. It frees up our energy and our thought patterns to welcome in new views, and higher consciousness. Colours are also wonderful activators. Green is traditionally used for healing. Blue for peace. Pink for love. Black for protection, because black is the only colour that can absorb, diminish and transmute darkness. 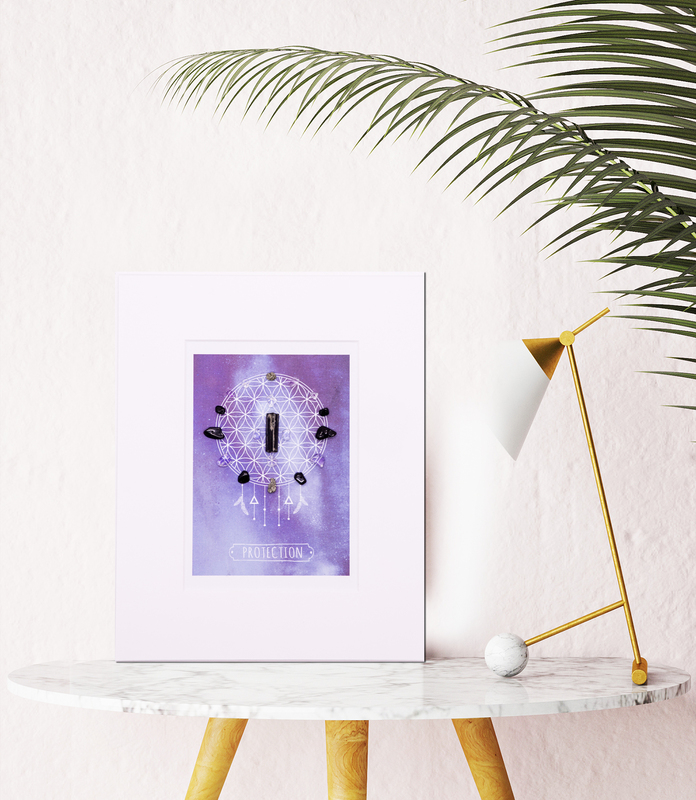 You can see my whole range currently available in my Etsy shop. As always, part proceeds from every purchase goes to the charity Take 3 (www.take3.org.au), a reputable Australian grass roots ocean conservation charity that promote litter free beaches for a higher survival rate of our delicate marine life. The Heart Temple also conducts regular beach clean ups in Western Australia and uses ethical environmentally sustainable methods wherever possible. We always reduce, reuse and recycle. When you buy from The Heart Temple you’re saving turtles, dolphins and dugongs from ingesting plastic and other litter from our shores and beaches. Big love for your support!